At Eurodiet, research and development represents a key asset which has enabled us to become a European leader in medically-supervised weight management. Quality is the operative word throughout the Eurodiet method and health-product range, whether concerning nutrients, health, well-being, taste, textures or convenience. Eurodiet offers patients who follow its method optimal-quality products without making any compromise on safety. Our R&D team also plays a major part in the regulatory compliance of all Eurodiet products. Indeed, because Eurodiet products are sold worldwide, local regulations are taken into account in all R&D activities, right from the word go. the use of new technologies to design products that never cease to provide patients with new advantages and more satisfaction. At Eurodiet, we are able to transform the ideas put forward by scientists, into practical, every day dietary solutions for patients with weight issues. At Eurodiet, we are convinced that, to bring about true innovation and offer better nutritional options to patients, we have to understand their needs and the way in which their weight issues affect their everyday life. It is the feedback from patients from all over the world which allows us to continuously improve the products we develop to meet patient needs. It also helps us perfect the Eurodiet method. Success stems from the combination of two approaches: the transformation of scientific progress into practical solutions and an improved understanding of patient needs. Such achievements require an enhanced collaboration between our researchers, our medical teams, our development units and our food-industry engineers. Since its inception, Eurodiet’s R&D team incessantly continues to enhance Eurodiet products portfolio, translating scientific advancements and cutting-edge technology into new solutions that provide a benefit to our customers. Our R&D team consists of experienced scientists, technologists and engineers engaged in innovating, refining and developing products and solutions to enable our Physicians in managing their patients’ weight. Our R&D teams also partners with experts in different fields. Our dedicated R&D team and partners constantly performs scientific intelligence and technological watching. The emergence of new scientific evidences, new technologies, and new knowledge can seriously initiate the development of innovative products and solutions to help manage weight. In this context, both technology watching and competitive intelligence can lead together with our Medical experts to developing observations and trials. In the development area, the R&D group interacts with suppliers to understand their assets, technologies, know-how and capabilities so that Eurodiet R&D team maximizes its innovative potential by finding potential partners to accelerate the launching of new products and solutions. Obviously, our R&D team also focuses on Nutrition innovation. Eurodiet outsources most of its analytical analyses. Dedicated in-house laboratories provide essential services, but such labs may not provide certain test capabilities. 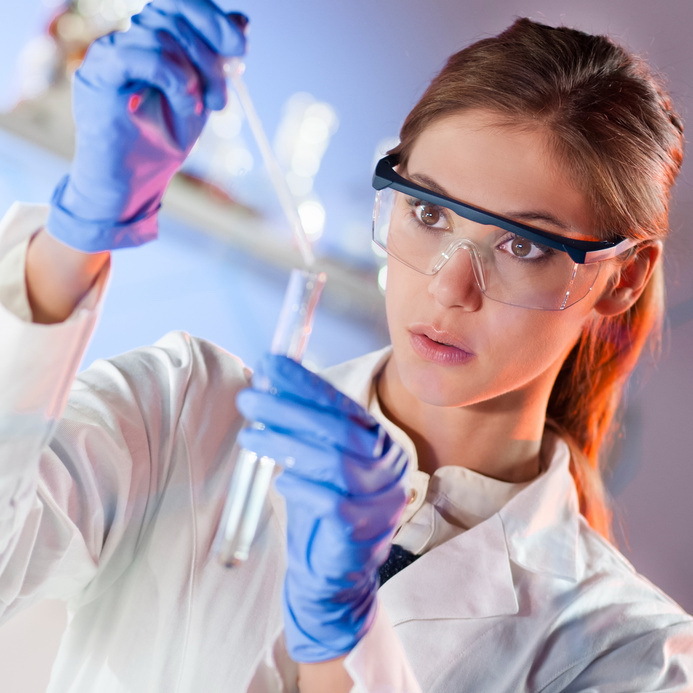 On a strategic level, a neutral laboratory will give objective results and will use the cutting-edge technologies. Eurodiet is equipped with standard kitchen equipment to reproduce its patient environment and verify the ability of patients to prepare Eurodiet products. The aspect, the texture, the aroma, the mouthfeel and the taste of hypocaloric snack, of meal replacements, of healthy snacks depend on a multitude of factors: environmental effect, cultural background, preparation method. At Eurodiet, we take all these aspects into consideration and we have developed a panel of tasters with different international and cultural backgrounds. We have selected this panel of tasters according to their reliability, consistency and discriminating ability. Whenever a product is evaluated, we monitor the aspect, taste, odor, flavor, texture and color. We only select product that satisfy our stringent criteria. Eurodiet is continuously interacting with Scientists, Physicians, Specialists, Researchers, University on an international basis. Eurodiet is active in industrial federations and organization. Idea generation for new products is the initial stage before starting any development. Ideas may come from a variety of sources: patients, physicians, employees, suppliers… This stage is crucial as these ideas will generate future development. At Eurodiet, we have ideas and we develop them. The generated ideas have to go through a screening process to filter and prioritize them out. At the end of the screening process, only a few feasible ideas remain out of the generated pool. We keep ideas has some might in the future become feasible. At Eurodiet we detail the nutritional characteristics of a future product or solution according to the physiological needs established with our pool of experts: nutritionists, physicians, scientists… We then establish product specifications with a detail and precise content. Product development entails the actual specifications and manufacture of the product. Development starts with the prototyping that eases testing. Based upon the results the R&D team decides on whether to modify certain points or to undertake a larger-scale production. Favorable results precede large-scale production and product validation by our panel of international experts. Of course product validation includes ageing validation, packaging development and validation. The industrial phase is also monitored by our R&D team. Once product fully developed, validated and industrialized, Eurodiet launches its product. The R&D still continues to monitor post-marketing of the product and service patients and physicians with answers to specific questions. Adapting products to local, national, and international regulation which means that the Eurodiet method is available in all countries. Because approximately 60% of each Eurodiet product is made of protein, and because the achievement of such a high protein content requires very large quantities of raw proteinic material (sometimes up to 80 to 90% of overall ingredients), Eurodiet has set stringent selection criteria in order to ensure the flawless quality of the proteins contained in Eurodiet products. Varied protein sources: Eating proteins from varied sources is essential for an optimal amino-acid intake. Individual needs, notably in essential amino acids (i.e. those that the body is unable to synthesize), are best covered by a balanced protein intake, drawing on both plant-based protein (soybean, pea, wheat) and animal-based protein (milk, eggs). Food safety, traceability and environmental issues: In order to restrict the environmental impact of raw material transportation, we select suppliers of non-GMO protein who meet our standards and are located as near as possible to our processing unit. 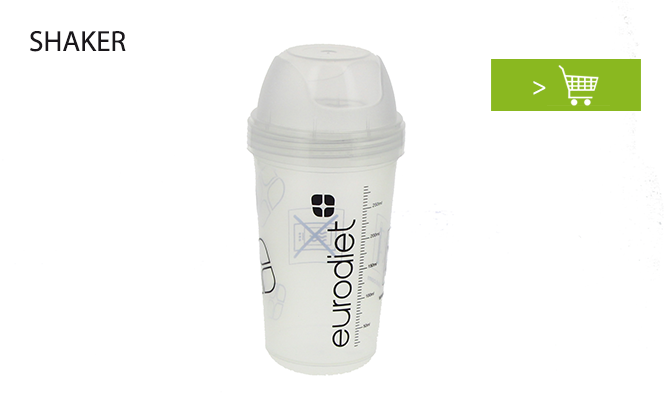 Eurodiet products are designed to supply the recommended amounts of protein for a weight-loss diet. Products are formulated with protein of varied origin so as to supply a broad range of essential amino acids and a protein quality superior to 100% of the reference protein.